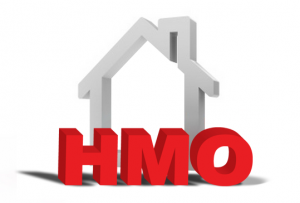 HMO is known as a “House of Multiple Occupation”. This is something not easily understood by Landlords or Tenants, but there are specific rules and regulations governing this type of rental property. Different local authorities have different rules and regulations for landlords to comply with. The onus is on the Landlord to check with the local authority about how to abide by the law, where rental property is provided for Tenants in that particular borough. Running a HMO as a business is one of the most profitable ways of residential letting. Many Landlords will rent out their properties to students or single professionals under the HMO scheme. Houses of multiple occupation generate a much higher income for the Landlord than general letting. There are many conditions and regulations that a Landlord must adhere to when renting out his property under “HMO”. If the property is classed as a large HMO, it must be suitable for a minimum of five people and be of at least three stories, access to bathrooms, kitchen facilities and washrooms is on a shared basis. This type of scheme requires a licence which can be obtained from your local authority. The overheads involved with regards to licences and strict regulations can be costly, but the return far outweighs the initial outlay. An average HMO is to have three people sharing, and again have shared access to kitchen and washroom facilities. You may still require a licence for a smaller HMO, this is all dependant on the ruling of your local council and this should be researched prior to letting. Boarding Houses, B&B’s and Hostels can all be classed as HMO’s. The Landlord is liable for the council tax on a HMO, so this amount will need to be incorporated in the rental agreement. Your local authority may impose additional conditions to a HMO, this will be detailed on your licence after inspection. You as a Landlord are liable to ensure that the property you are letting under a HMO License is suitable for the number of occupants and also that you yourself are free of any criminal convictions. You are required to provide to the council copies of all Electrical safety and Gas safety certificates and to also ensure that all future renewal certificates are also provided to the council. You are also required to provide and maintain all mains smoke alarms. There must not be any visible obstructions to any escape routes in the property as a fire in the property could endanger life. The full name, address and contact numbers of the Landlord managing the property must be displayed at the property to ensure that they can be contacted by the Tenants in an emergency to comply with local council regulations. There are penalties for renting out your property as a House of Multiple Occupation without a licence, you as a Landlord can find yourself being fined up to £20,000. Special insurances are also required for this purpose as there are additional clauses that are not stipulated within a standard Landlord’s insurance policy. Should you require further information, you should contact your local housing authority. Each local authority will have their own dedicated staff members that can assist you further. A landlord was recently fined for ignoring Hmo regulations by his local council, click here to find out more. A recent ruling about a Landlord who fell foul of the Hmo licensing law has been published in Sussex to highlight how councils crackdown on rogue Landlords, click here to read more. Click on any of the green links below if your local council is listed, to see their criteria for Hmo’s in your local area. You can also contact your local council if the link is not listed below. Ashford Borough Council, Barnet Borough, Bedford Borough Council, Bexley Borough Council, Bromley Borough Council, Brighton and Hove Council, City of Westminster Council,Croydon Borough Council, Dartford Borough Council, Ealing Council, Epping Forest District Council, Gravesham Borough Council, Greenwich Borough Council, Guilford Borough Council, Hackney Borough Council, Hammersmith and Fulham Council, Harlow Council, Kingston Council, Lambeth Borough Council, Lewisham Borough Council, Maidstone Borough Council, Medway Council, Newham Borough Council, Richmond Council, Sevenoaks Borough Council, Slough Borough Council, Southwark Borough Council, Swale Borough Council, Thurrock Council, Tonbridge and Malling Borough Council, Tower Hamlets Council, Watford Borough Council, Wycombe District Council.